I honestly wonder what it’s like to be Austin Barnes right now. 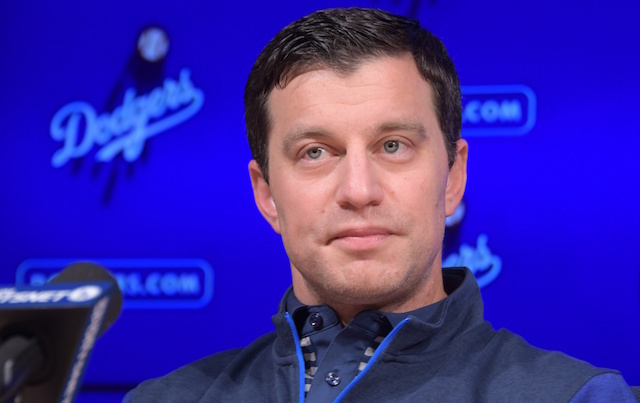 He’s currently projected as the starter at catcher for the Los Angeles Dodgers yet has spent the offseason not only lamenting his regression in 2018, but listening to president of baseball operations Andrew Friedman openly discuss the team’s need for a quality catcher. Then again, when you look at Barnes’ performance this past season, there’s no real reason to blame Friedman. In 238 at-bats, Barnes batted a bleak .205/.329/.290 with just nine extra-base hits. Not exactly the type of production one would suspect from a regular catcher. But that’s what makes Barnes so fascinating. Just nine months ago, there was an apparent need to ensure Barnes found enough playing time and at-bats behind Yasmani Grandal. The reason? He was coming off a year in which he hit .289/.408/.486 in 218 at-bats. For context, J.T. Realmuto — the 27-year-old catcher everyone in the league is desperate for — hit .277/.340/.484 this year (albeit in twice as many at-bats and with three times as many home runs). Now, to be clear, this isn’t to say Austin Barnes is J.T. Realmuto. But rather pointing out that for half of a season, he played the part really well. 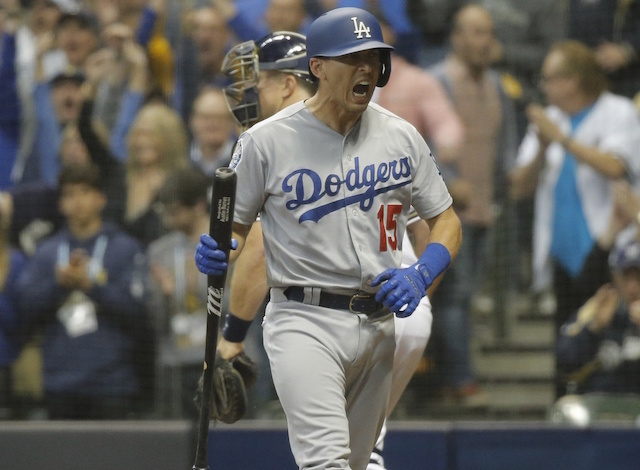 Which leads us to the all-important question: who is the real Austin Barnes? Obviously, with their approach this winter, it seems like the Dodgers are convinced that the 2017 version of Barnes was more a mirage than anything. While they may believe he’s far better than he was in 2018, it’s clear they don’t view him as an everyday option behind the plate for a team with World Series aspirations. Then again, until they officially add someone to start in front of him, maybe we should give Barnes the benefit of the doubt? In looking at what changed in 2018, a few things stood out — things that we could identify as keys to getting Barnes back on track. First and foremost it’s the strikeouts. After striking out just 16.4 percent of the time in 2017, that number jumped to 28.2 percent. It’s interesting to note that in the Minor Leagues, Barnes’ strikeout rate hovered in the 12-13 percent range for the most part — indicating that this season’s spike may have been an anomaly. The second big difference between 2017 and 2018 was Barnes’ BABIP. In 2017, it was .329 — well above what should be expected for even the best players in the league. Last season that number regressed closer to what is expected (.289). This isn’t something Barnes should bank on changing, but it does help us understand a bit more about what happened in 2017. Finally, another area Barnes can be expected to work on this offseason was getting the ball back in the air. In 2017, he hit the ball on the ground just 45.1 percent of the time, but that number jumped up to 53.8 percent. It’s a trend that is headed in the opposite direction of where baseball (and launch angle theory) seems to be going. As a result of the increased ground balls, Barnes hit 5.7 percent less line drives and 2.9 percent less fly balls. In looking at all that it’s no surprise to see he had 16 fewer extra-base hits in (essentially) the same number of at-bats. If Barnes can get his strikeout rate down to where it was throughout his career, and can get back to getting the ball in the air, his slash line should improve substantially in 2019. While it may not get to the levels we saw in 2017 and, therefore, won’t make him an All-Star level catcher, there’s enough reason to believe Barnes is someone the Dodgers can count on if needed.